Sun Jul 25th. Mapped the remains of this battery location today. 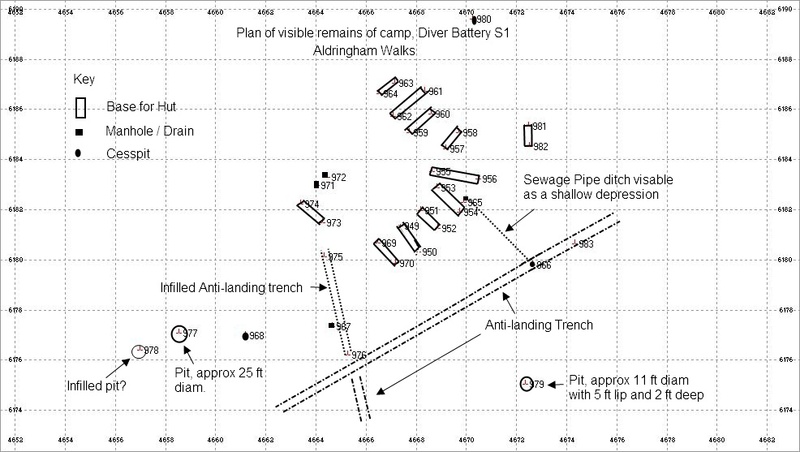 I had long suspected that the remains in this area were from a Diver camp and documents seen in my recent visit to TNA do indeed confirm that Diver Battery 'S1' was in this area. This battery consisted of four 3.7" HAA guns, part of the 'Diver Gun Strip'. The 'Diver Gun Strip' was actually an extension of the London 'Diver Box' defences against German V1 Flying bombs and in East Anglia, extended from Clacton to Great Yarmouth. The remains consist of standings on which huts would have been erected and also remains of the sewage/sullage disposal system. 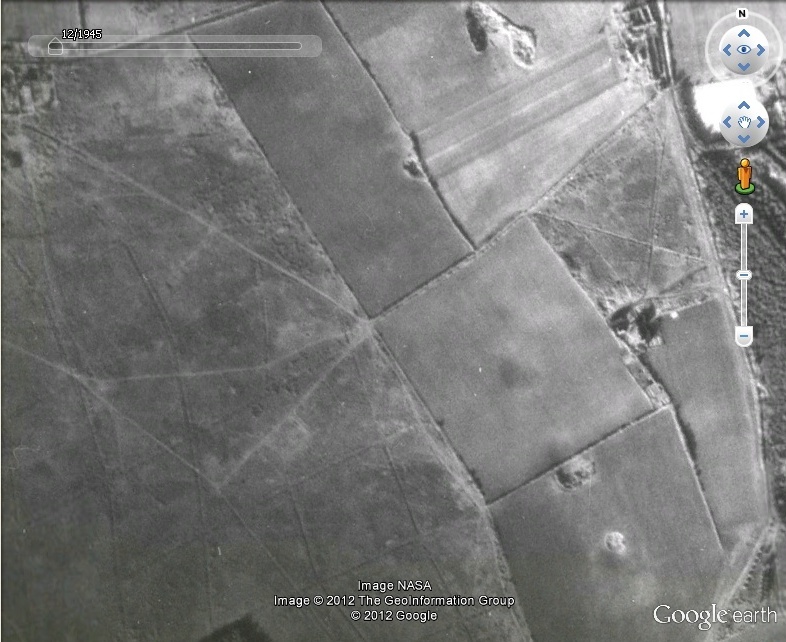 The camp occupies an area were, earlier in the war, anti-landing trenches had been dug. 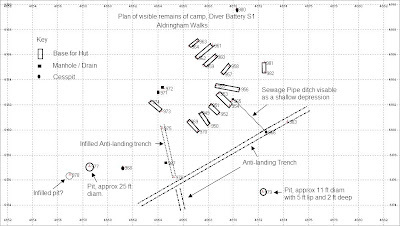 Sections of the ditches in the camp area have been in-filled. One pit, of what I presume are cess pits for sewage/sullage, has been dug dug into the bottom of one of the anti-landing ditches. There are also the remains of some sort of fencing/screen, which I have found at three other Diver camps. 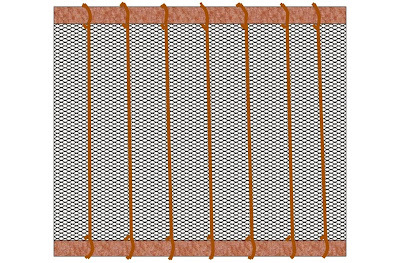 It consists of two bands of metal joined with metal strips in which between is a wire mesh. In one of AA Brigade War Diaries there is mention of 'Clutter Screens', erected on tubular scaffolding - work on these was much delayed due to shortages of chicken wire. I have no idea what a 'Clutter Screen' is but perhaps these are remains of them (as also there is the odd piece of tubular scaffolding to be found in the area). It may be remains of so called gun-laying (GL) mats, which created a false horizon or fixed datum for the gun laying radar. Image 3: Aerial photo of battery 1945 - noticeable how little is visible. 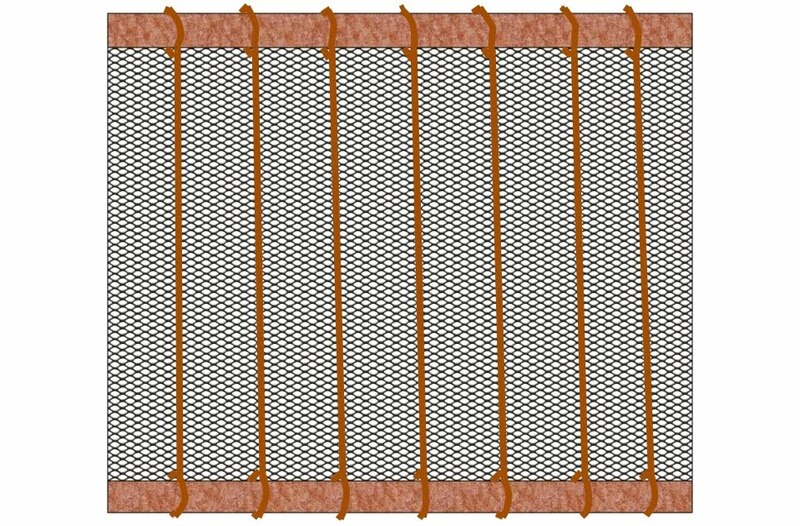 Image 10: Sketchup drawing of the mesh screen.